Nick has a BS in Medical Technology and currently serves as a Regional Operations Director for his company. He is an avid golfer and over the last several years has become quite obsessed with fly fishing. His first experience with a fly rod occurred in 2014 and he has not looked back. When not on the water or the golf course, he enjoys tying new flies (even though he may not know their names or what they are supposed to imitate), traveling and spending time with his 2 boxers. 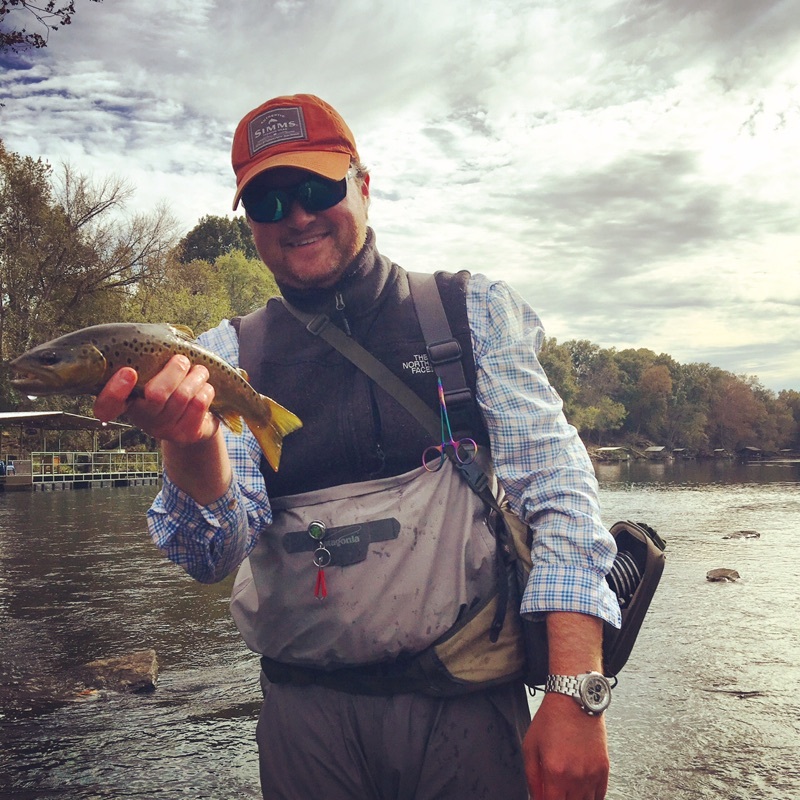 The Mayfly Project is the perfect platform for him to teach kids his passion of fly fishing and the outdoors while also allowing him to offer advice on life experiences at the same time. Laura has been fly fishing for over 12 years. With a lifetime goal to catch a fish on a fly rod in every state she has knocked 11 states off the list. 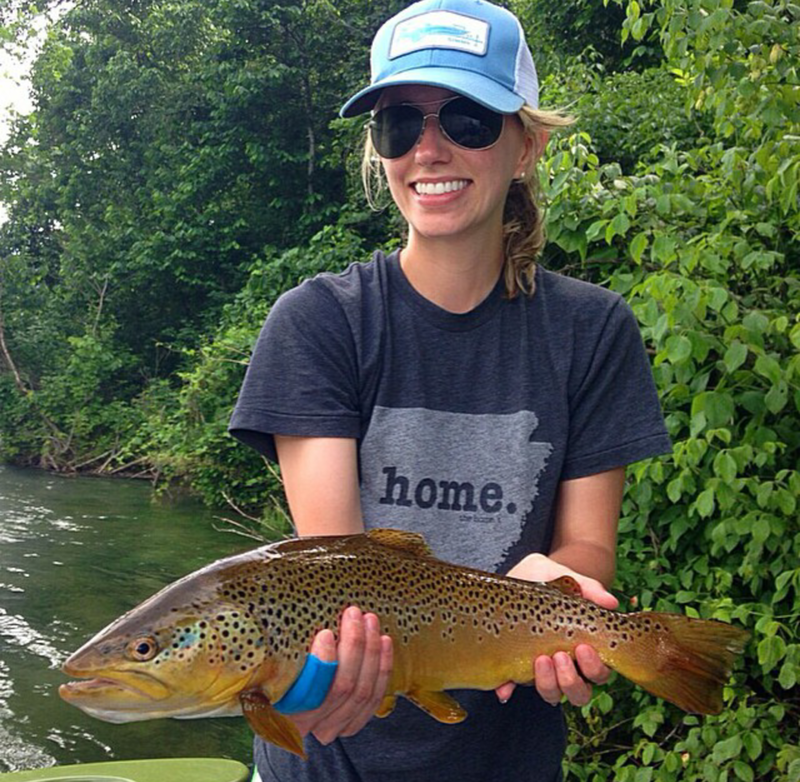 Laura's favorite way to chase trout is throwing gnarly streamers for big browns! Mike has over 30 years of fly fishing experience. He is an expert on swinging and tying soft hackles. Though most of his fishing is done on small streams his favorite fish to chase with a fly rod is Coho Salmon. The Mayfly Project was founded in 2015 by Jess. Jess is a life-long outdoorsman and avid fly fisherman. In 2008, Jess had the opportunity to work as a fishing guide in Alaska. While away from his family and everything he knew he realized how important time in on the river was to him, and how it could always be his home away from home. Later, after graduating college, he travel across the country with work. Again, even when he was away from home, he always felt comforted and "at home" if he had his fly rod with him. An Arkansas native and have been fishing from a very young age. I myself was in the foster system here in Arkansas so I can relate with the children we mentor. My hobbies are anything outdoors hiking, camping both tents and hammocks, fishing, hunting and many other things. Trout fishing is what I have been doing the most lately. It is incredible to be able to help give kids the opportunity to learn the love of being out in nature in the beautiful state of Arkansas. My love for fishing started when my dad put a cane pole with a cricket in my hand on the Ouachita River in South Arkansas when I was a tiny kid. I watched him fly fish as he sculled my sister and I around until we caught enough bream for a fish fry that night. I took up fly fishing in the early 90's when I moved back to Arkansas, learning from friends and the guys in the Arkansas Fly Fishers in Little Rock. Standing in a river with a fly rod in my hand makes my soul sing! I feel closer to God there than anywhere else. It's my privilege to share this sport with anyone who wants to learn, especially foster kids. The Mayfly Project is where I can give back to a sport that has given me a passion for fishing and being outdoors. Camping around the world with her military family, spending summers exploring the Georgia Pine woods and creeks with her cousins, fishing for Bass with her grandfather in cool clear lakes, and one impressionable vacation to the Grand Canyon at age 14 is all Hollie needed to become an outdoor lover for life. Because she grew up appreciating the benefits of time spent outside she has made it her career and life mission to help people find their outside; whatever that may be. She has been an outdoor educator for 25 years with the Corps of Engineers, Arkansas State Parks, and now the Arkansas Game and Fish Commission. She also enjoys fishing, fly tying, birding, hunting, hiking, paddling, and Dutch oven cooking with her family and friends. Volunteering with the Mayfly Project is close to her heart because everyone needs someone to show them the wonder of nature, the life skill of fishing, a caring community, and the gift of time. Madison grew up in Central Arkansas and is currently attending UCA to become a physical therapist. She’s always had a love for exploring the outdoors, but did not begin to truly pursue that for herself until around the time she was introduced to fly fishing. While she is no expert in the sport, she realizes that fly fishing was just what she needed to push herself outside of her comfort zone, challenge her, and is rewarding in more ways than one. She especially loves working with the Mayfly Project because of the work they do with the foster care system. Madison and her family have personally been impacted by it and she is grateful for the opportunity to pour into others. Born and raised in the Arkansas delta, Cody grew up fishing the many waterways the delta had to offer including the Mississippi, White, & St. Francis Rivers. Being raised on a farm, Cody has become a passionate outdoorsman and conservationist. Now an agronomist & youth educator for the U of A Extension Service he tries to instill his passion for the outdoors into today's youth. 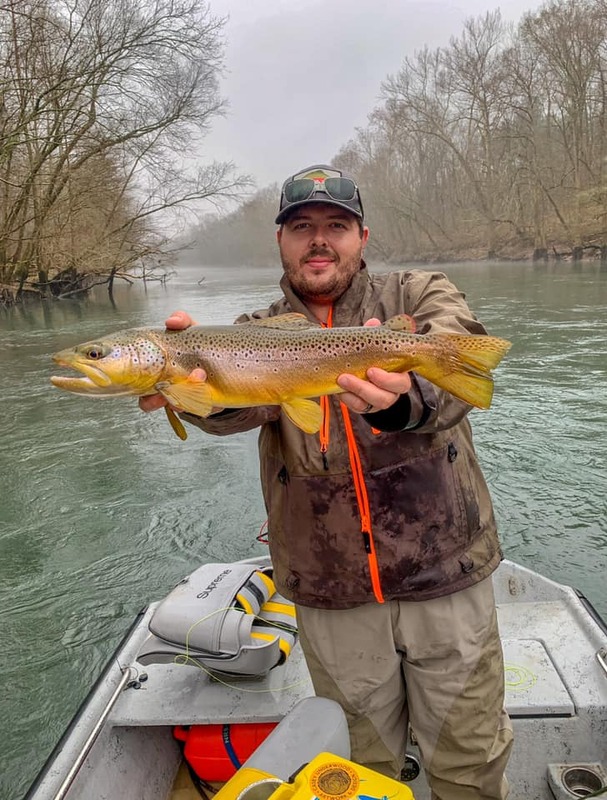 In Cody's free time he is chasing big browns on the Little Red River with his wife Megan and two labs Moose and Waylon or tying flies for fisherman all over the country. In 2018 Cody started Fin and Feather Flies and enjoys teaching other how to tie and fly fish. 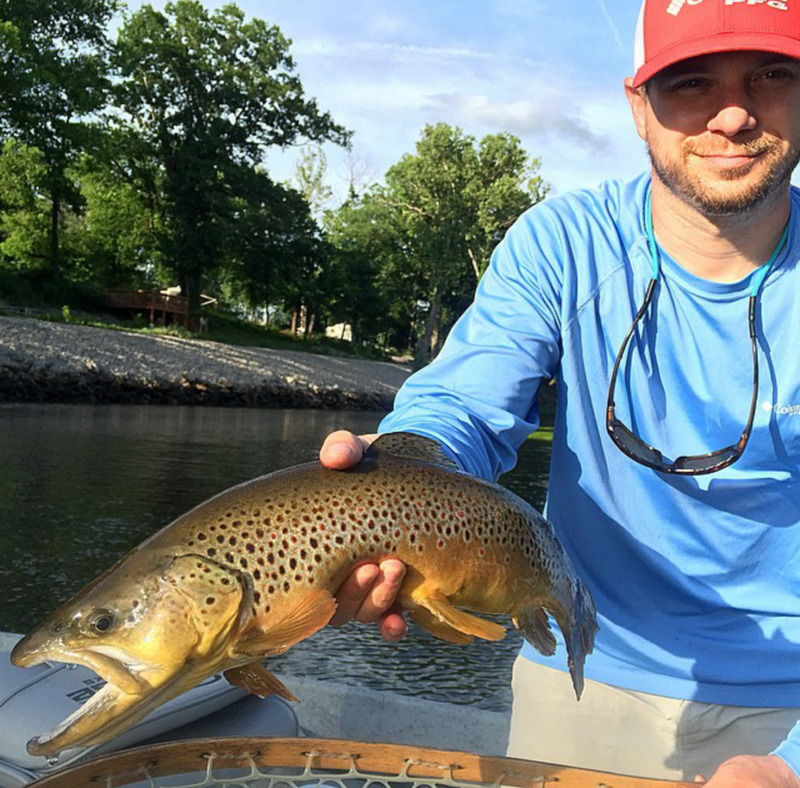 Matt grew up in a small town in southwest Arkansas, and with several lakes and the Ouachita National Forest just a few miles away, he spent a lot of his youth outdoors. He was introduced to fly fishing by his grandfather at a young age, and while he admits he may not recall much about those first instructions, the interest has never gone away. Matt enjoys spending his free time these days fly fishing on the Little Missouri River. He hopes that through mentoring with TMP he will be able to spark an interest in young people in the same way. Matt is excited to help introduce them to something that will encourage them to get outdoors, explore, and enjoy all that spending time on the water has to offer. An avid fisherman for as long as he can remember, Andy has always enjoyed time spent on the water; be it streams, rivers, ponds, or lakes, his passion for fishing remains unchanged. Andy is excited to be a mentor with The Mayfly Project and is looking forward to introducing foster children to the world of flyfishing. It is Andy's hope that all children participating with TMP will experience the joy, challenge, science, outside-the-box thinking, and most importantly peace and clarity that can be experienced outdoors in what Jesus has created. Also, Andy is still searching for the ever elusive trout. Randy grew up on the waters of the little Missouri river, from Albert Pike to the tailwaters of lake Greeson where he still livesd today. Randy is a bit of a jack of all trades, spending time as a hunting guide in New Mexico and Colorado, he started his fly fishing career catching brookies in the Rockies. As an avid outdoorsman, he taught rock climbing to kids while backpacking in Colorado. Randy has a passion for conservation, beginning with his time working as a wildlife officer for the Arkansas Game and Fish Commission. Now Randy spends his time working for the Arkansas State Parks, leading kayak programs, teaching fly fishing to the park guests, and educating the public on the outdoors. Randy is a father of two little girls and hopes to provide the same happiness and joy to the kids of the mayfly project. Working with kids has always been a part of His life and is excited to do it with a past time he loves, fly fishing. 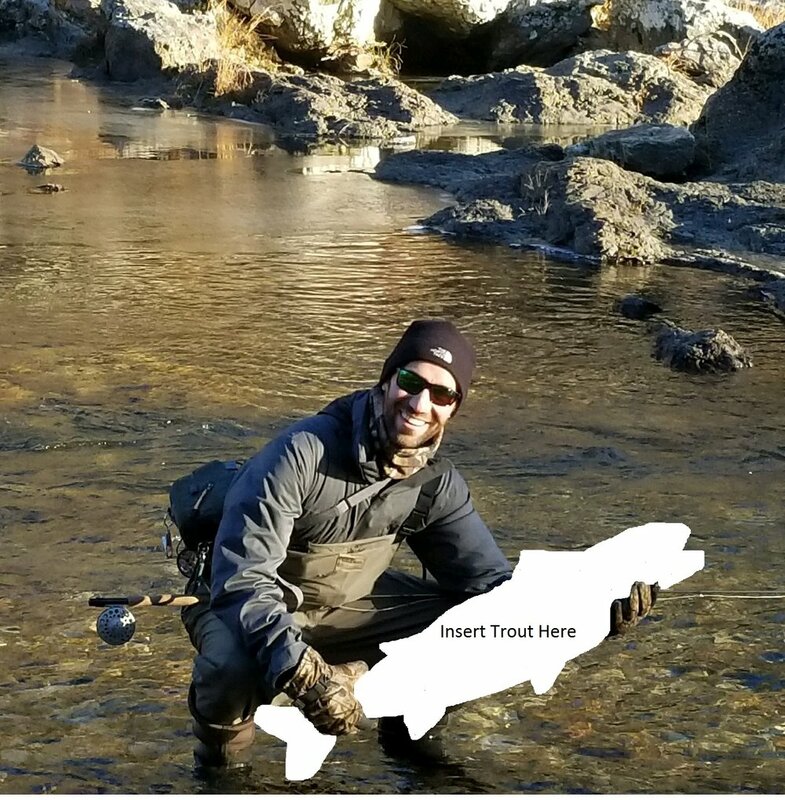 Austin’s hometown of Trout is seated squarely in rural LaSalle Parish in central Louisiana, far from any actual trout. He was first introduced to fly fishing as a young boy by his father. He quickly became captivated with the sport. Spending many hours creekside and on pond banks he “honed” his skills on bream, white perch and bass. During his time at college he received an internship opportunity in Hope, Arkansas. Here Austin met Matt Bearden, a fellow Mayfly Mentor, who invited him to go fly fishing at the Little Missouri River. After a few not so productive trips, Austin finally caught his first trout in the Summer of 2017. Since then Austin has graduated and moved to Texarkana and is pursuing a career at the Arkansas Department of Transportation. 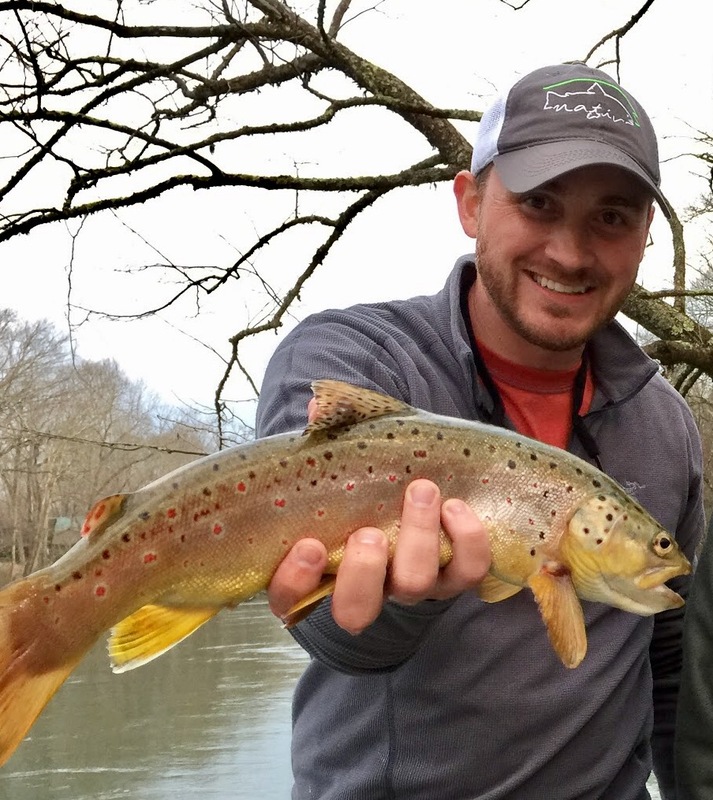 He now strives to learn everything he can about; trout, trout fishing, fly tying, conservation, and a continued respect for the trout and the beauty of The Natural State. 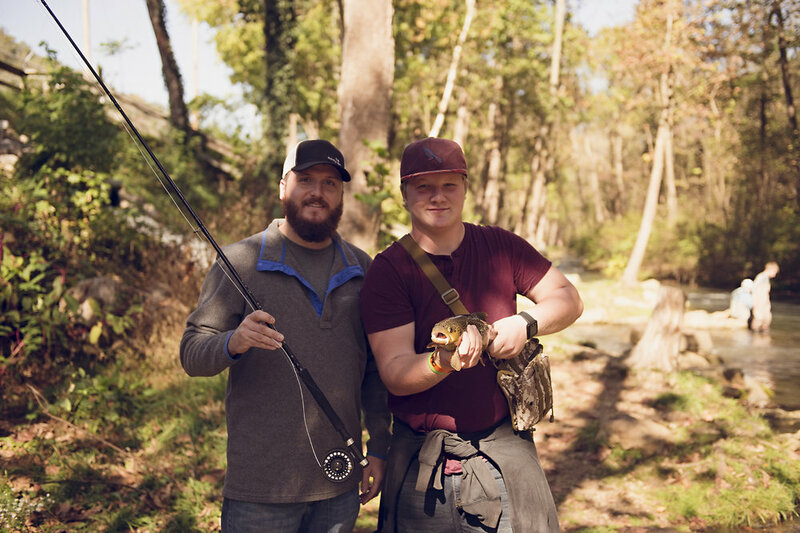 Austin is elated to have the opportunity to introduce other children to the joy that is fly fishing and to be able to positively impact a community that has welcomed him with open arms.